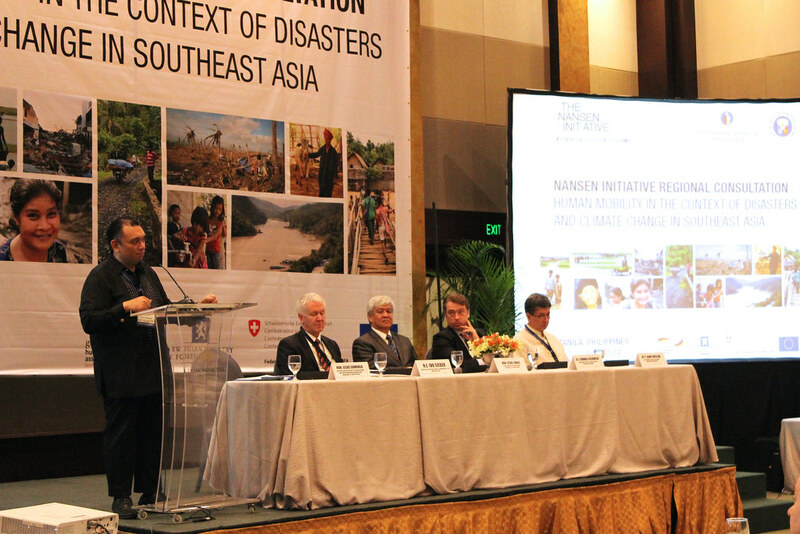 Southeast Asia is one of the world’s most vulnerable regions to natural hazards, experiencing numerous disasters annually. 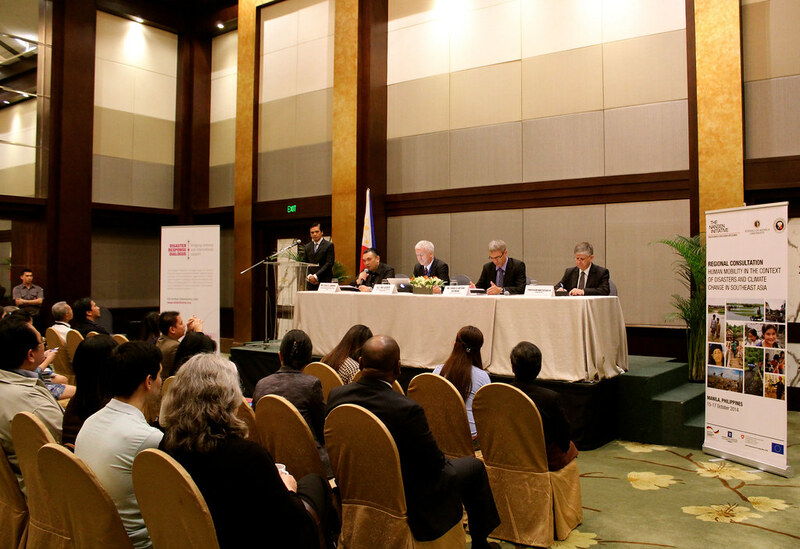 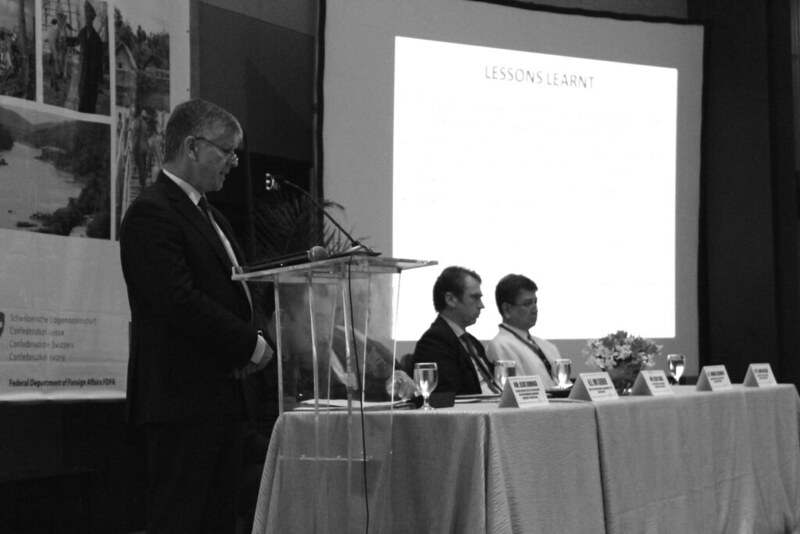 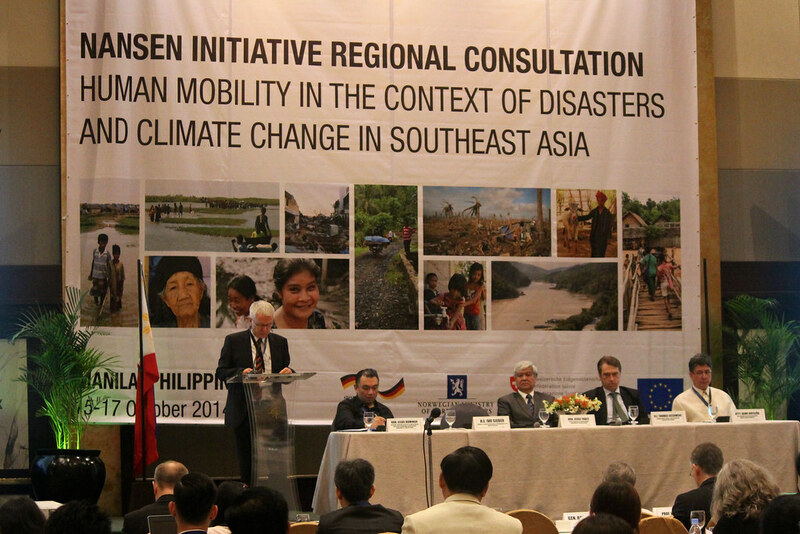 Such disasters, including typhoons, earthquakes, tsunamis, volcanos, floods, droughts forest fires, and landslides, often trigger displacement and migration, primarily within national borders but also abroad. 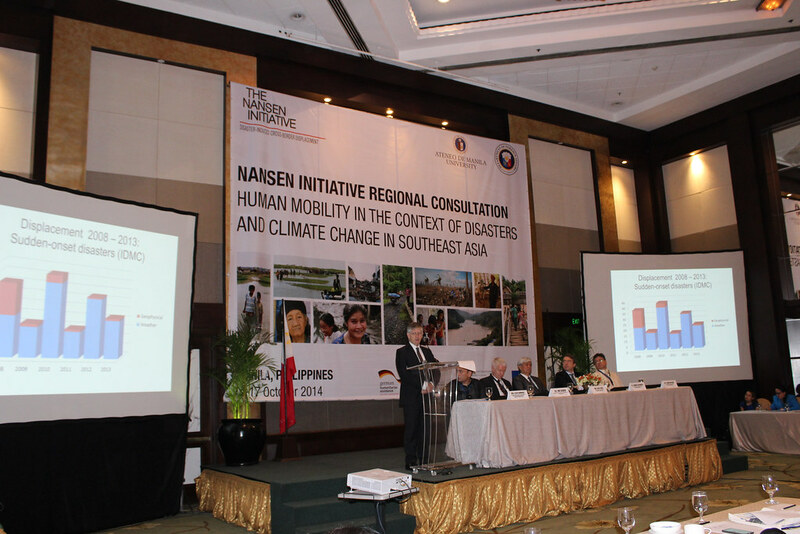 Given many countries’ high exposure and current adaptive capacity, Southeast Asia is also increasingly facing the negative impact of climate change through rising sea levels and rainfall variability that threaten human settlements, infrastructure, natural resources and associated livelihoods. 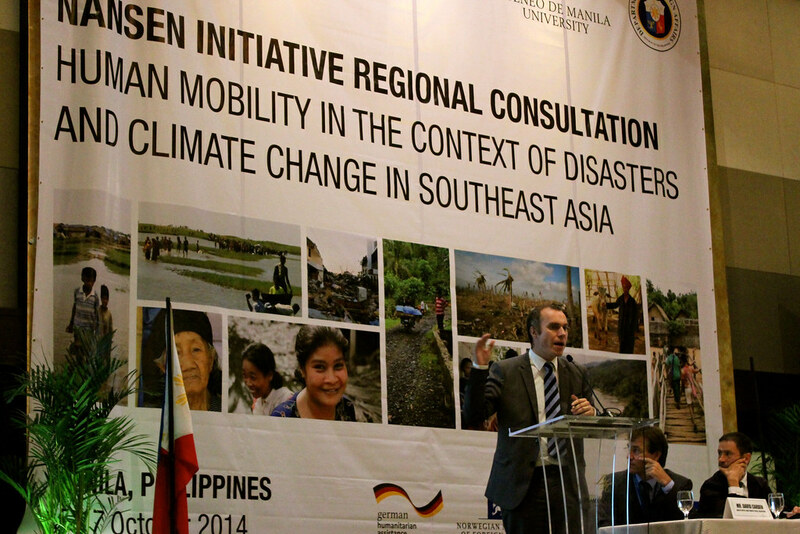 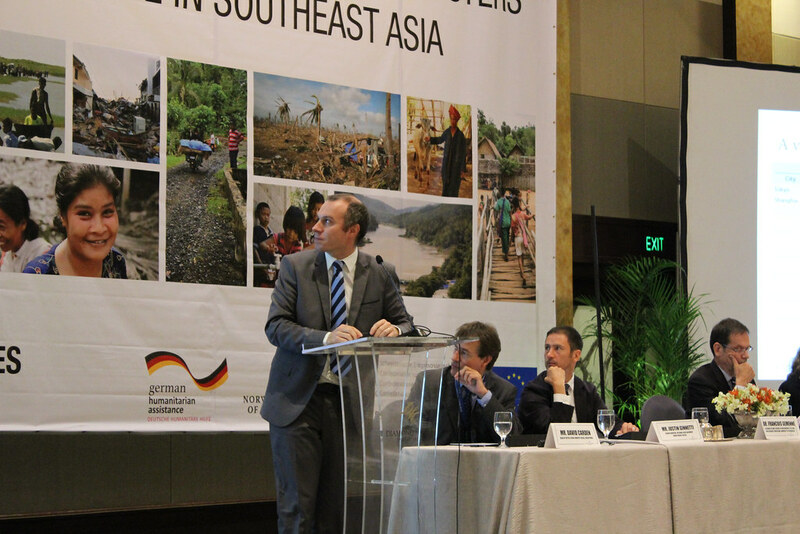 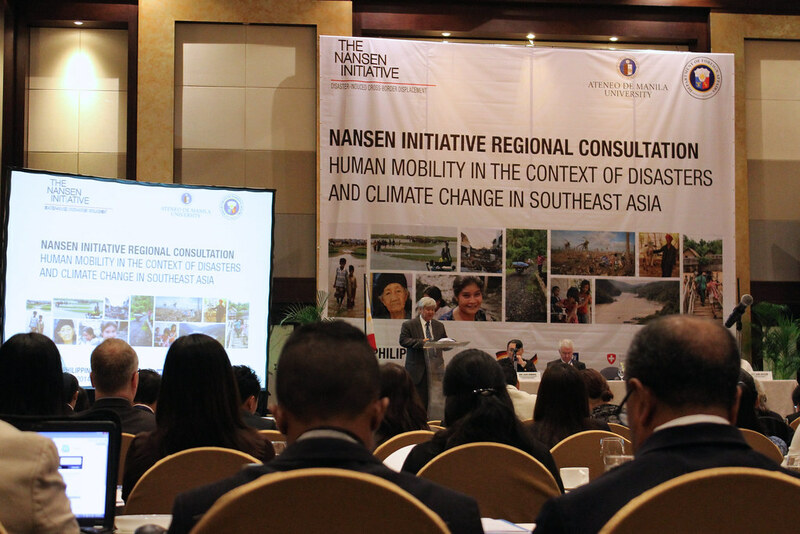 While recognizing that natural hazards contribute to human mobility in Southeast Asia, in many circumstances such movements occur within a complex environment impacted by wide variety of social, political and economic factors including poverty, a growing demand for foreign labour, increased urbanization, violence, and conflict. 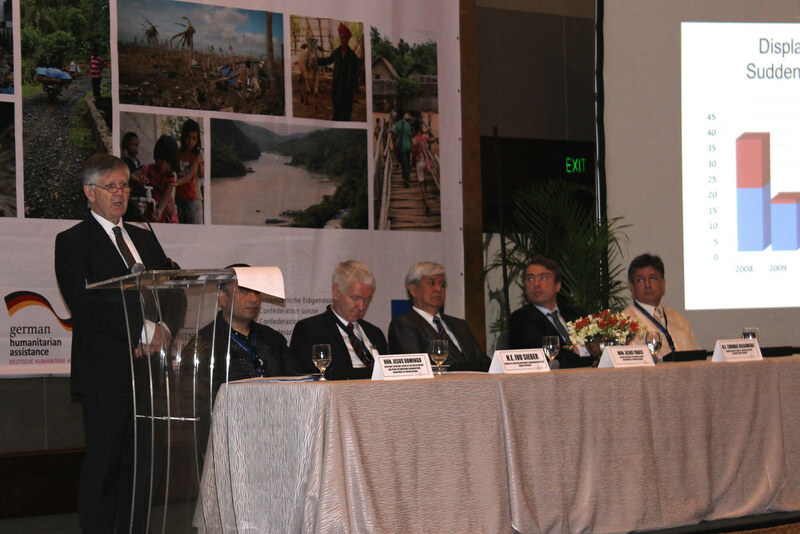 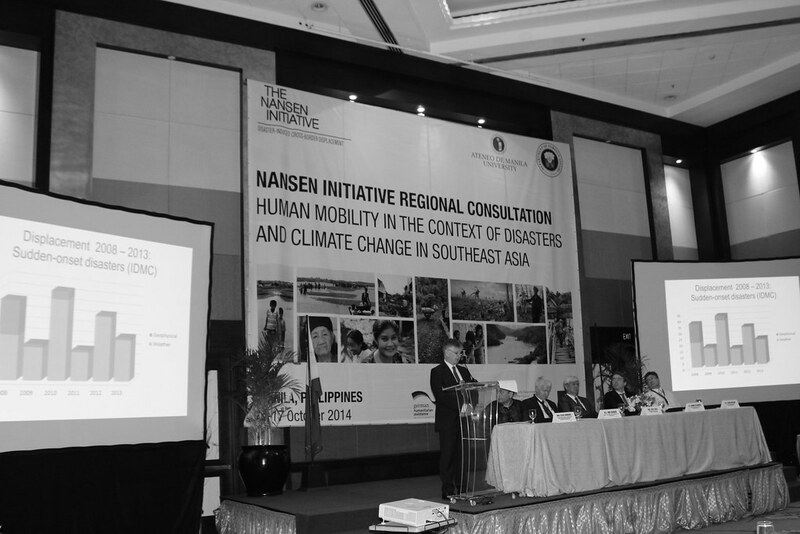 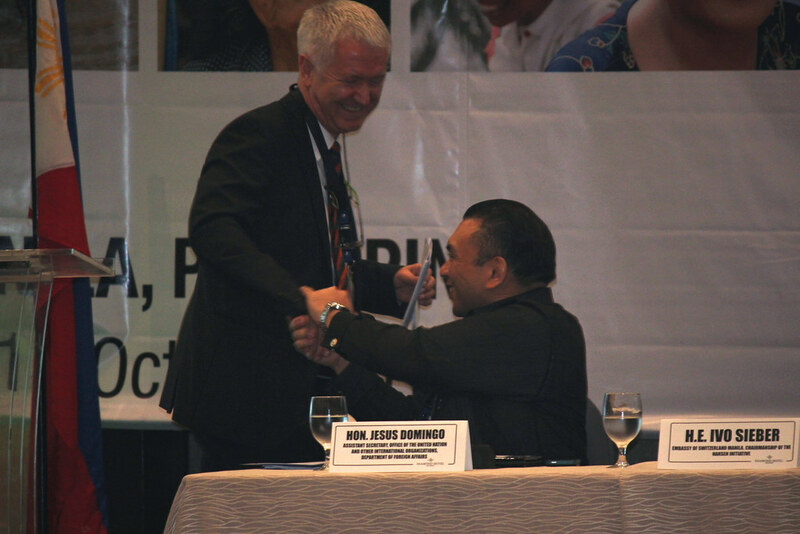 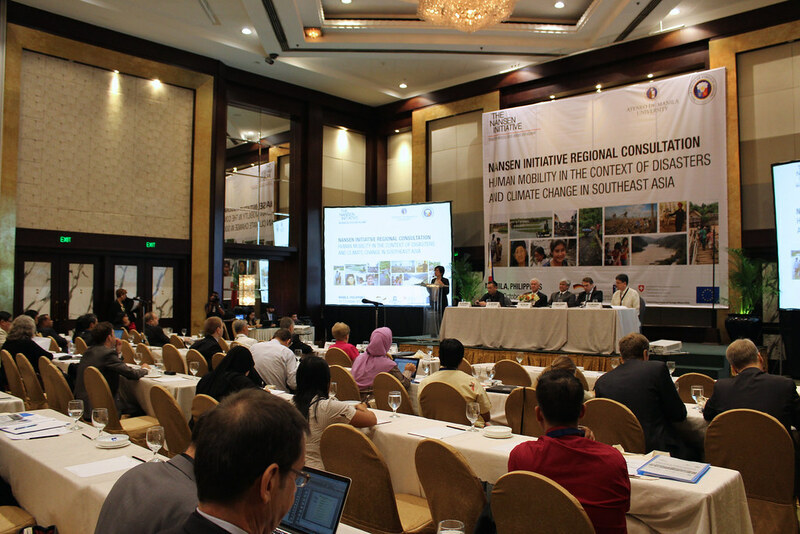 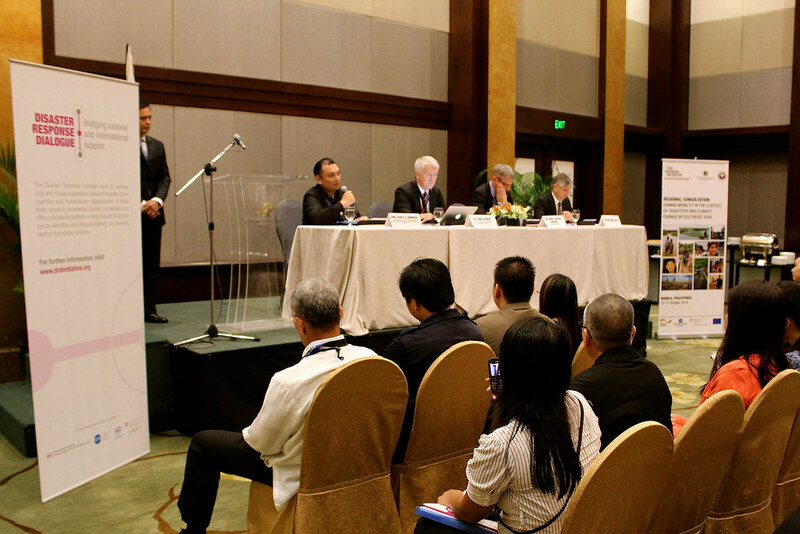 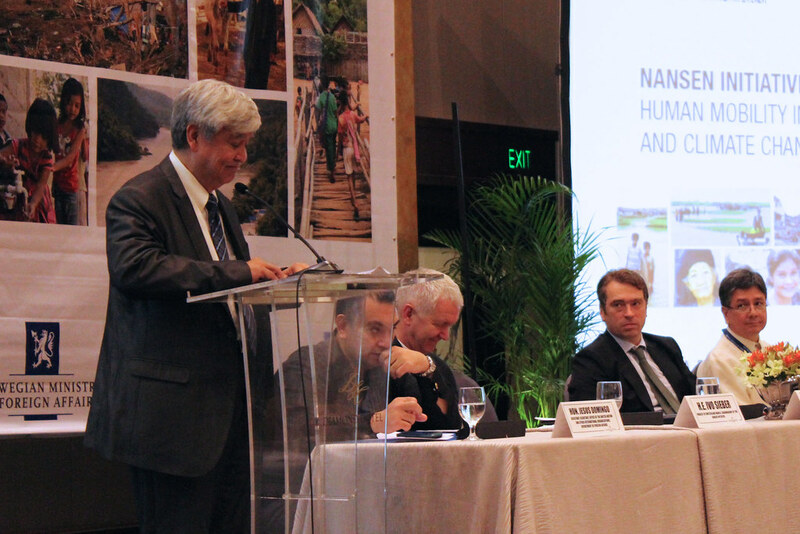 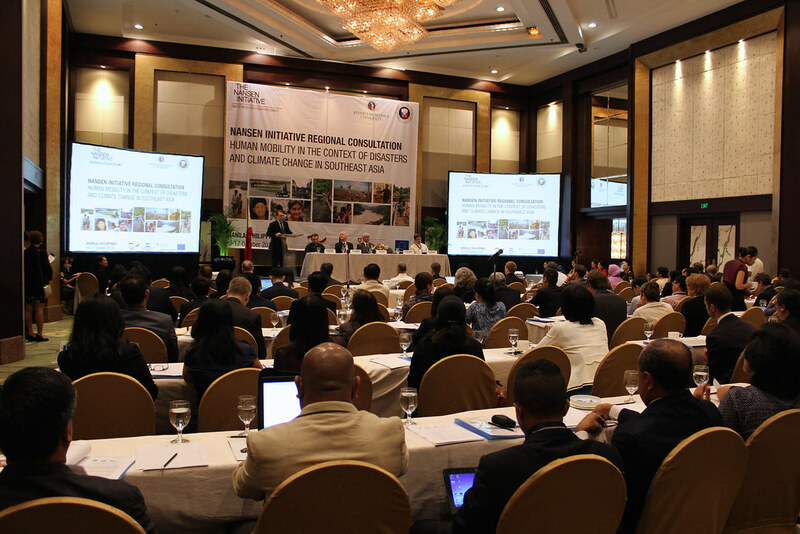 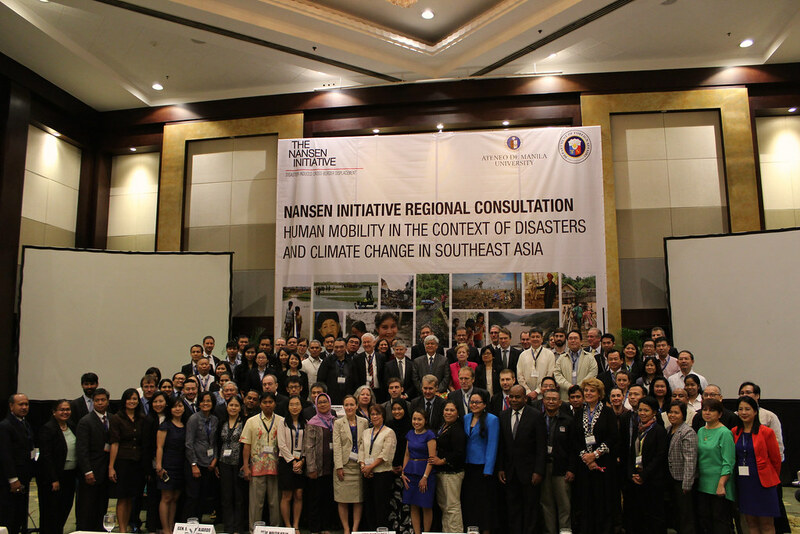 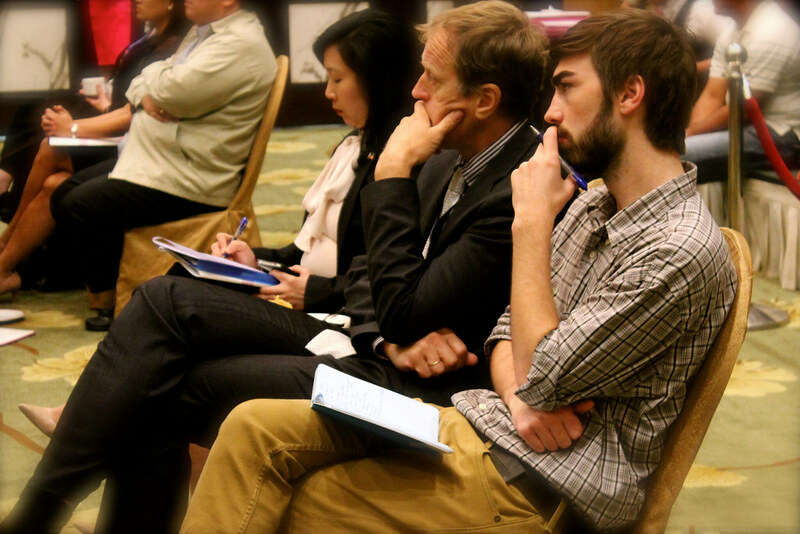 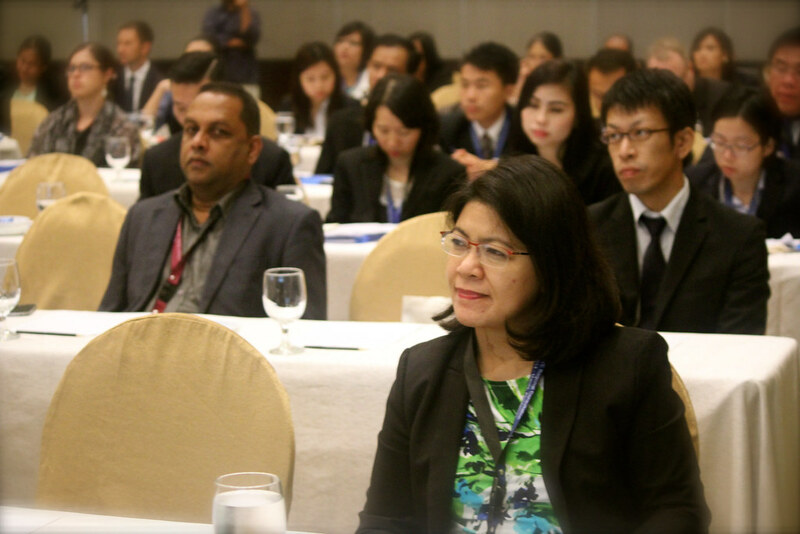 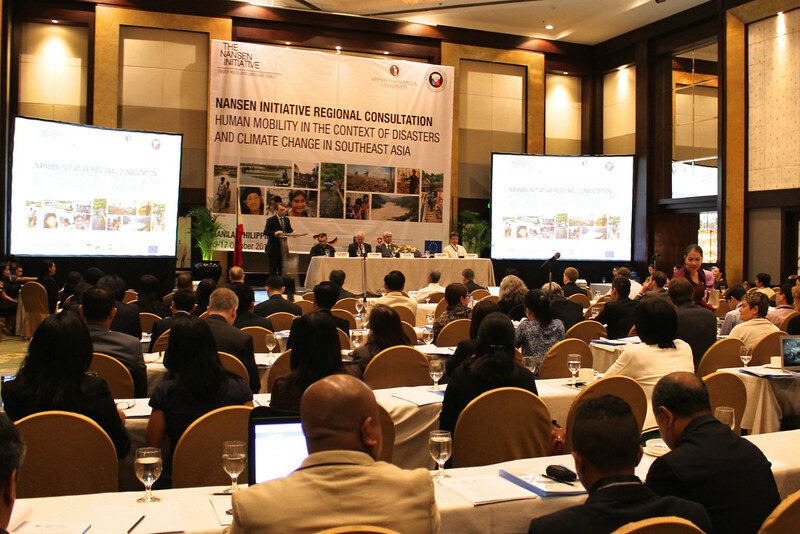 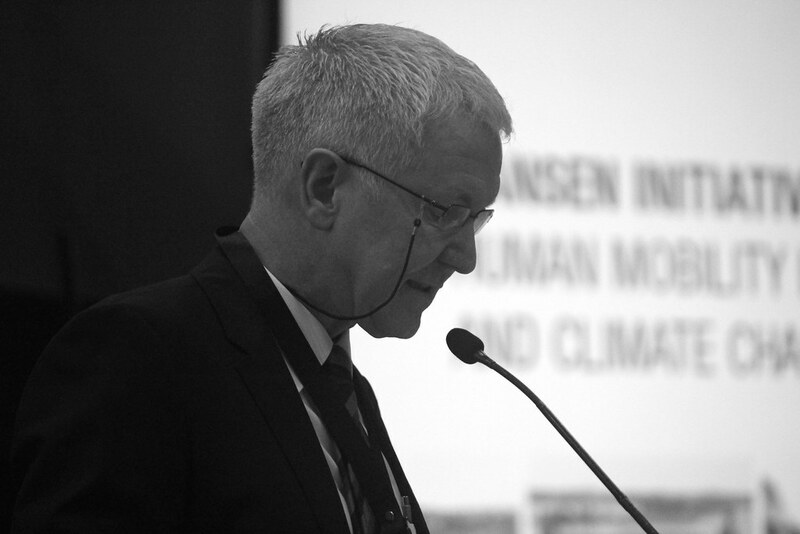 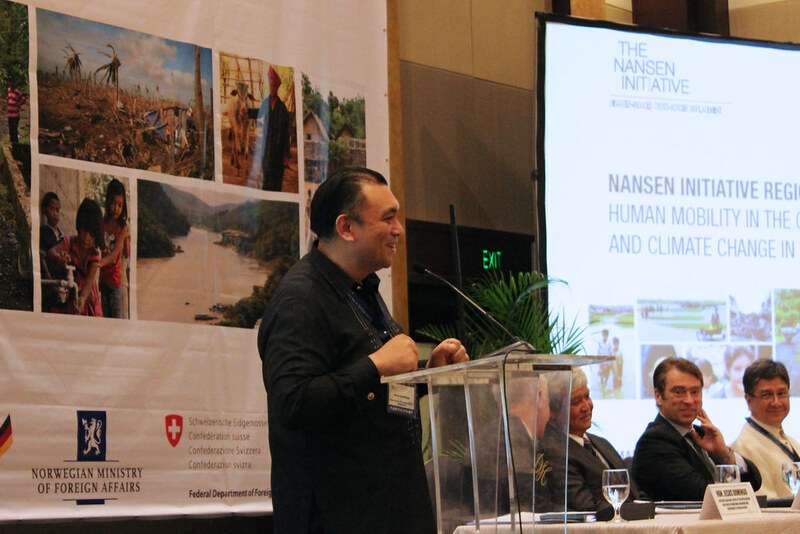 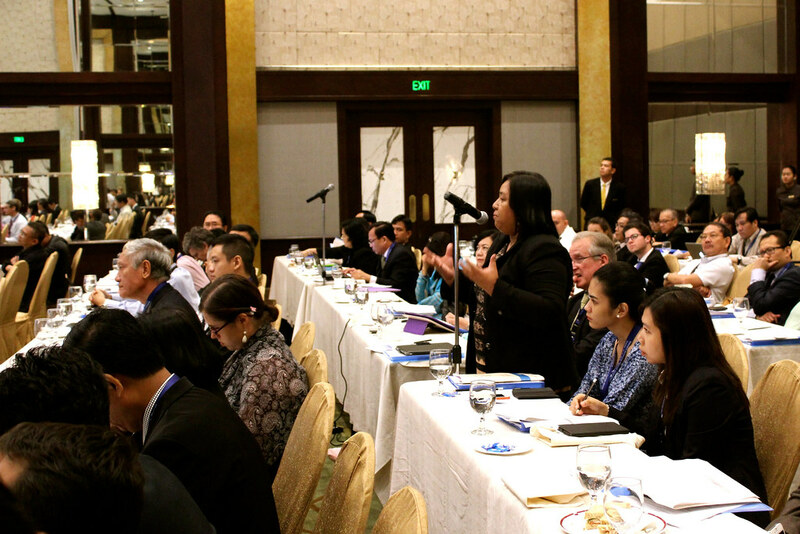 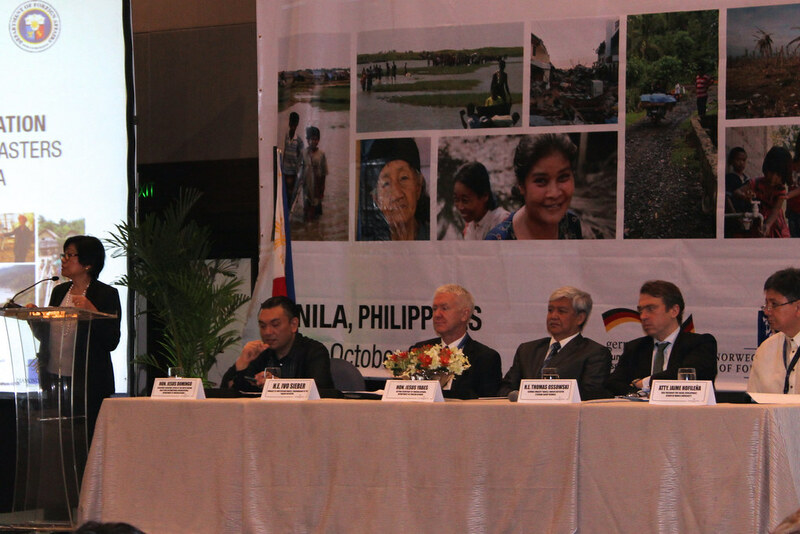 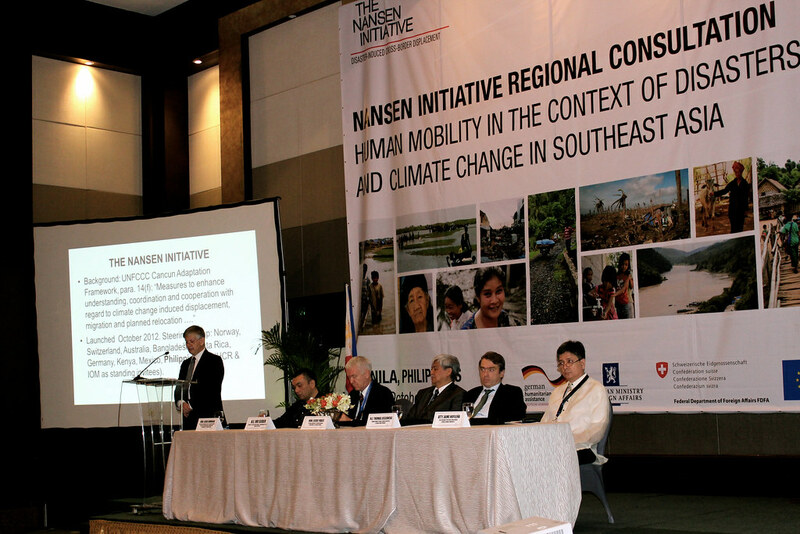 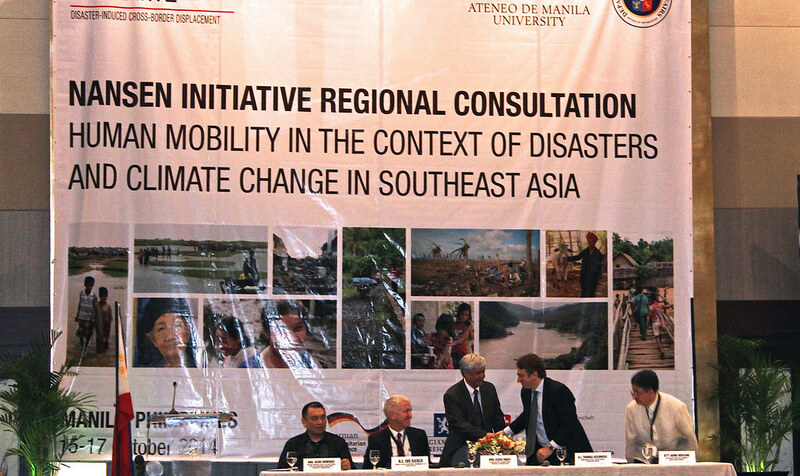 More than 100 participants representing governments of nine countries from Southeast Asia, including Brunei, Cambodia, Indonesia, Lao PDR, Myanmar, the Philippines, Thailand, Timor-Leste, and Viet Nam, as well as representatives from Australia, Germany, Haiti, Japan, the Nansen Initiative and its Chairmanship, and representatives from regional and international organizations, UN Agencies, civil society and research institutions, met in Manila, Philippines from 15-17 October 2014 for the fourth Nansen Initiative Regional Consultation under the theme “Human Mobility in the Context of Disasters and Climate Change in Southeast Asia.” The participants expressed their appreciation to the Government of the Philippines for hosting and the Chairmanship of the Nansen Initiative for supporting this important consultation.